Did we forget to mention this was a long-term tester for cars.com? Call this one both awkward and embarrassing, on Jeep’s behalf. As we all know, many publications receive long-term test vehicles to drive. The amount of time spent with any given vehicle can easily last up to a year. During that time, new cars, trucks, and SUVs are put through their paces. Everything good and bad is thoroughly documented. 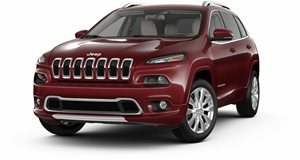 And in the case of cars.com’s long-term 2014 Jeep Cherokee, well, let’s just say things didn’t go so well; the engine had to be replaced after only 13,300 miles. It all started was when the Cherokee’s 2.4-liter four-cylinder engine stalled several times. Staffers thought the problem possibly involved a software flash update to the engine’s computer, or perhaps a rat had chewed an engine harness. Based in the cold winter weather of Chicago, a number of issues could have arisen. Once at the dealer, however, the problem became apparent: "excessive amounts of oil had crept into the intake side of the engine, coating the intake manifold, hoses and engine management sensor." The amount of oil drained from the intake manifold nearly filled a cereal-bowl. Because the fueling information to the engine’s computer was caked in oil, accurate readings were impossible. All told, the Cherokee’s engine was 2.5 quarts low from the required 5.5-quart capacity. The dealership was stunned. So was Jeep HQ. The Cherokee was later shipped off to Jeep for diagnosis where an entirely new engine and every air intake was replaced free of charge. So if anyone has a new Cherokee that’s had a problem stalling, take note. It’s not the Grand model, but can the bog standard Cherokee still claw its way to the top? How will it fare against its worthy competition? The 2019 Cherokee lives up to Jeep capability standards, but misses the mark on practicality and value for crossover shoppers.